ET Now: What is your view on crude in the light of the recent volatility? 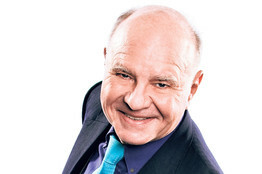 Marc Faber: My view regarding oil is similar to that on other commodities. We had a huge increase in crisis after 1999 when crude rose from $12 a barrel to over $100 a barrel and a peak was made in July 2008 at $147. It came down again and then rallied again. In general, regarding crude and other commodities, the cost of exploration and extraction has gone up and I do not foresee a meaningful decline. Now, can the oil price temporarily drop to $80 a barrel?